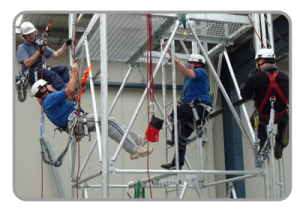 This course is for managers and employees, and gives candidates a good overall knowledge of the Working at Heights Regulations, 2005. This will enable candidates to organize and plan working at height, avoid risks and select appropriate work equipment for a particular task. Candidates will receive a course handout summarising the topics covered. Candidates will receive a certificate of attendance.